Karina's Kreations: Happy Tails Technique Card! I like to feature a product of the week and this week I'm sharing project made with the Happy Tails stamp set. This is such a fun playful set and I love that it has a matching punch. Buy these items together and save 10%. The sentiments are very cute too!! My fancy fold is inspired by a demo done by my friend Terry at our last team stamp night. 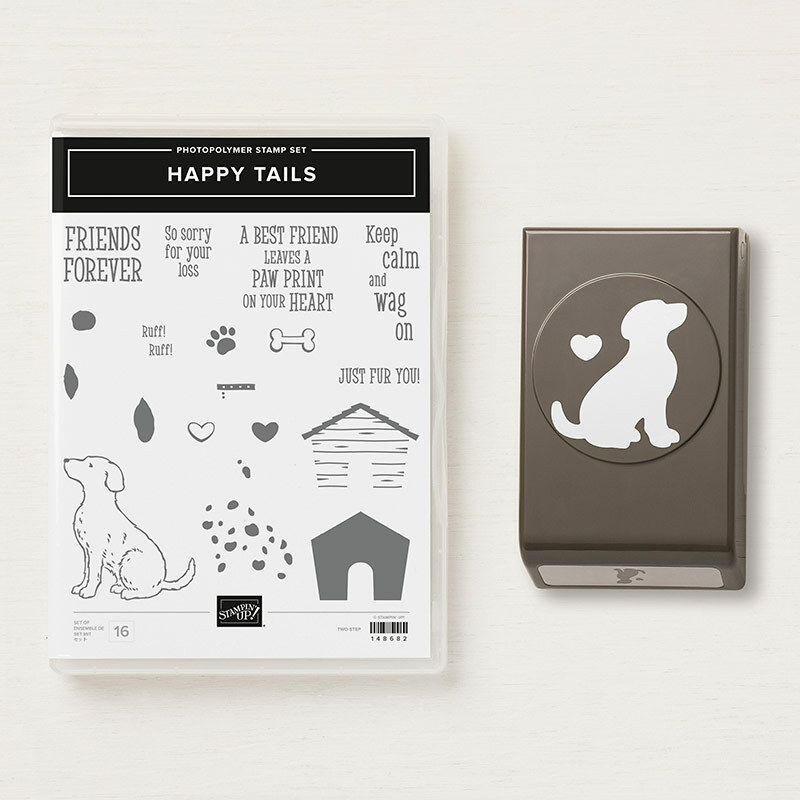 If you love Stampin'Up products, consider getting the starter kit. You'll save 20% on all future orders and can join us next month for a special stamp night.The starter kit is on sale for $135.00 and you get $225.00 in product. Who wouldn't want that? 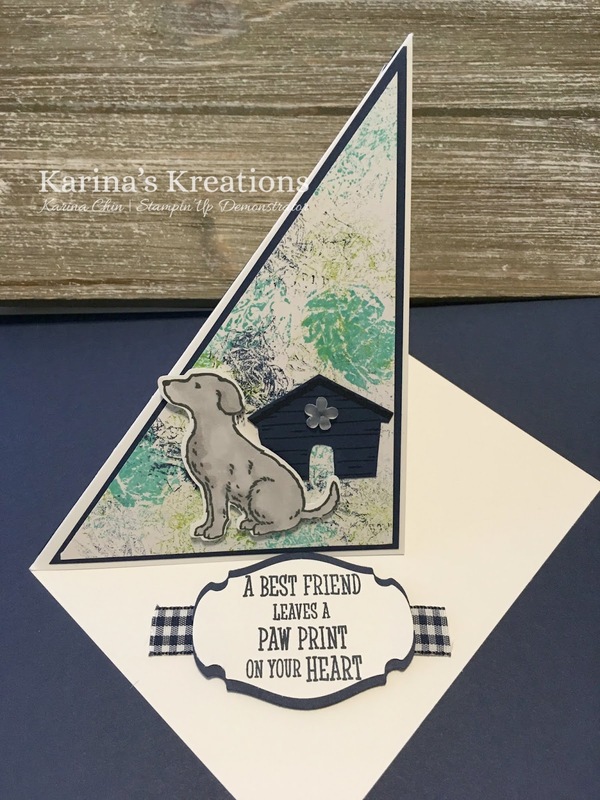 I'm also doing a facebook live demo for this card at 11:00 MST on my Karina-Chin-StampinUp-Demonstrator facebook page. 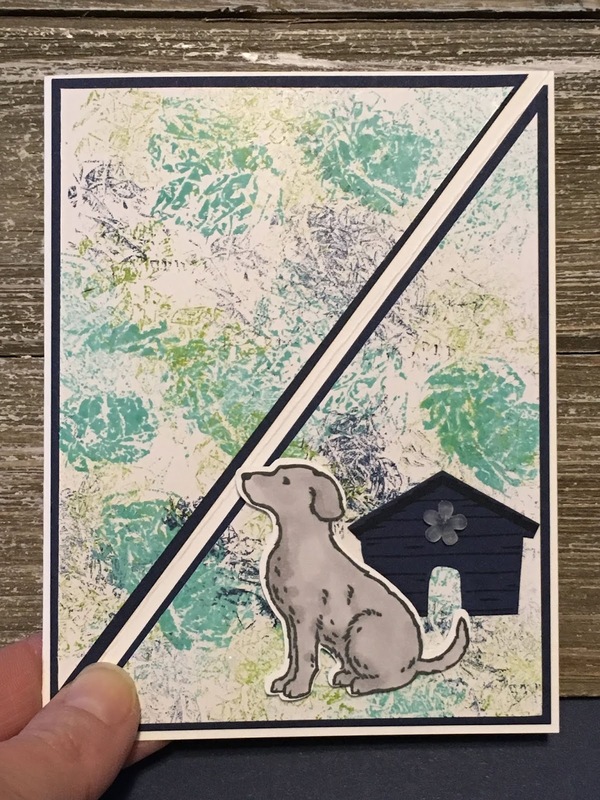 The background for this card was created by stamping with saran wrap on Glossy card stock. I used Costal Cabana, Lemon Lime Twist and Night of Navy.